Are you feeling stuck or disengaged or bored in your workplace? Do you spend the majority of your day just waiting around for the day to get done? If you wish that you could find a deeper sense of engagement, purpose, and meaning in your career, then sick around, because today we’re going to be discussing a method for activating your confidence in a way that will enhance your career and help you move ahead faster than ever! Many of my clients over the years have expressed disappointment with their jobs—even the ones who have landed their dream jobs. After looking into the matter, I’ve found that a lack of confidence is what’s driving this dilemma. 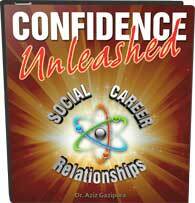 When we lack confidence, our defense mechanisms kick in, and we disengage—this leads to boredom and frustration. In the worst cases, we can even begin to believe that we don’t even belong in our current field. If this sounds familiar, don’t worry: you don’t need to go out and change your whole career. Rather than start over altogether, let’s take a look at a couple of strategies that are as easy to implement as A, B, C . . . or M, A, S.
When you get ready for work and walk in the door every morning, what is your mindset? Do you often think of going through these motions as “have-tos” or “want-tos”? What I find with most of my clients at the onset of this work is that they view everything surrounding their job as a “have-to”—a chore. This drains energy and zaps confidence. But how do we shift our mindset to view work as a privilege or a joy, rather than an obligation? When we need to establish new mindsets for ourselves, the best place to start is with our purpose and original intention. Do you remember how you first felt when you found out you had gotten the job? Once upon a time, you were thrilled to get that phone call: you woke up excited to get started, and you felt accomplished in your employment. What fed that passion? What originally drew you to this field? If you can connect back to that original intention, you may find that you’ve simply lost your passion and need to remember the joy and purpose your career once provided. Speaking of purpose, this is another quality that can completely transform the way you view your work responsibilities. Sometimes, when we’ve lost the joy in what we do, we simply need to remember what our work provides. For some people, their sense of purpose is fed by talent or fame. For others, it’s fed by money or a desire to gain recognition in their field. For many people, though, it’s fed by the ability to provide for their families or impact the lives of the people they help through their work. Another mindset that could be holding you back from engaging fully in your work is the mindset of scarcity: I don’t have enough time. This mindset of scarcity can almost become a sort of mantra hypnotizing us into believing we will never have what we need to succeed. Fact: you have time for everything that matters. – Do you spend hours a day on Facebook? – Could tasks at work be delegated more efficiently amongst your employees? – Are there small tweaks that could be made to the budget to allow for a new project? These are just a few of the ways in which your mindset can mess with your overall success and happiness at work. In truth, though, there are probably dozens more. Take a moment and honestly ask yourself what your mindset is on the job and how that could be affecting your daily mood and sense of purpose. Often, when I see people who have become disengaged at work, it is because they are performing a high volume of low-quality activities (doing a lot of stuff and accomplishing very little). The phrase is, “Work smart, not hard,” for a reason. Personally, when I’m overwhelmed with activities that don’t seem to be serving me, I just get sucked into reactive mode—doing everything possible to just keep up, rather than strategically looking for new ways to innovate and drive my business. When you feel like all you’re doing is putting out fires, you need to step back, take a breath, and prioritize: What are the three things I need to get done today? In reality, you’re never going to accomplish a thousand things in one day. But you can accomplish three—so, focus on those. Take strong action on your top priority items, and you will instantly feel a weight lifted off your shoulders. What about distractions at work? I mentioned Facebook above (because I know it’s a big one, whether we want to admit it or not), but a lot of companies also have intraoffice messaging systems, and watercoolers, and about a dozen other things that can make deep work seem like a myth. Side note: Cal Newport’s book, Deep Work, is a great read. If the concept of “deep work” sounds completely alien to you, you should check it out! If this is the case for you, the first step is to honestly acknowledge the problem. Then ask yourself what you need to do to remove the obstacle and drastically improve your productivity. What is the situation at your workplace? Is there a dynamic that isn’t working for you? Do you receive a lot of unnecessary pressure or aggression? Is communication an issue? Whenever your mindset and activities are in line, the answer to your workplace issues can be found somewhere in the environment. Maybe the project you’re working on isn’t utilizing your skillset; maybe the expectations are set too high; maybe your team isn’t working together effectively; maybe you literally don’t have the tools you need to get the work done. This issue came up recently in a mastermind program I was running: a woman who was highly unsatisfied with her work realized that she simply needed to have a conversation with her employers about her workplace situation. This terrified her because she was working on her assertiveness and being able to speak up about what mattered to her. Once she took bold action, however, and had the necessary conversation, they were incredibly responsive, and a huge shift in her situation at work took place. You don’t need to wait to get to a place where you’re only ready to speak up because quitting sounds more attractive than a paycheck. Believe it or not, your workplace situation is fluid, and most employers will see your value and work with you to create an environment that serves everyone. If things at work feel like they just haven’t been working out lately, there is no reason to cut ties and run! Make these simple shifts in your mindset, activities, and situation, and you are sure to start seeing a major transformation in your workplace confidence and satisfaction. 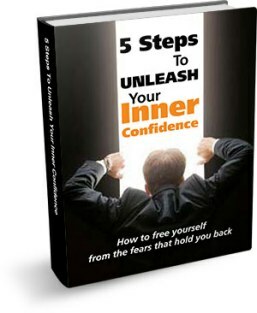 If you feel like you need a little more guidance in this endeavor, check out my program, Confidence University, at TheConfidenceUniversity.com. This is a full-scale program I’ve create to develop confidence in every area of your life, including work, dating, and your social circle. Within that program is literally a course called Career Acceleration, in which we touch on all these concepts and much more in great depth. In the meantime, let’s continue to connect through these episodes by sharing our experiences! What mindsets do you struggle with at work? How can you shift your activities to include more deep work? What situational issues do you struggle with, and what are you going to do to alleviate them? We are all dealing with similar struggles, so please offer up your personal take on them so that we can learn and grow together.